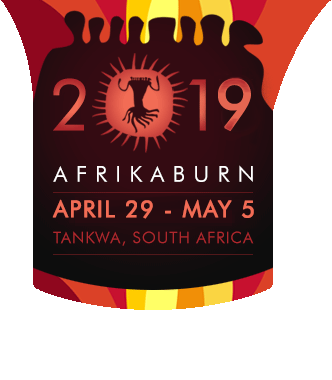 AfrikaBurn is a Burning Man regional event, and our guiding principles are based on the Ten Principles of Burning Man, to which we have added an 11th, in 2011 – Each One Teach One – that encourages the sharing of knowledge. These principles aren’t commandments, and they’re not rules – they’re ideals that offer guidelines to how we as a community can reinvent the world, and ourselves. Burning Man co-founder Larry Harvey wrote the Ten Principles as guidelines for the newly-formed Regional Network, in 2004. They were crafted not as a dictate of how people should be and act, but as a reflection of the community’s ethos and culture as it had organically developed since the event’s inception. Everyone should be able to be a part of AfrikaBurn. As an intentional community, committed to inventing the world anew, we actively pursue mechanisms to address imbalances and overcome barriers to participation, especially in light of past, current and systemic injustice. We welcome and respect the stranger. Anyone can belong. *In early April 2019, after consultations with Burning Man Project’s team, and in response to our organisation’s wish to acknowledge that the principle of Radical Inclusion (as originally set out by Larry Harvey in 2004) would benefit from a recontextualisation that reflected the South African context, the content of that principle was changed to the text you now see reflected above. For more info and the supporting rationale on this, please see our announcement on Latest News, and the Inclusivity page linked via that announcement. HELP US TRANSLATE THESE PRINCIPLES! Alternatively, you can download a copy of the principles in English right here, and go right ahead with your translation – and then mail us at [email protected] so we can get them up here along with the rest.